get link TracManager software integrates with KCD Software thus eliminating manual double-entry. 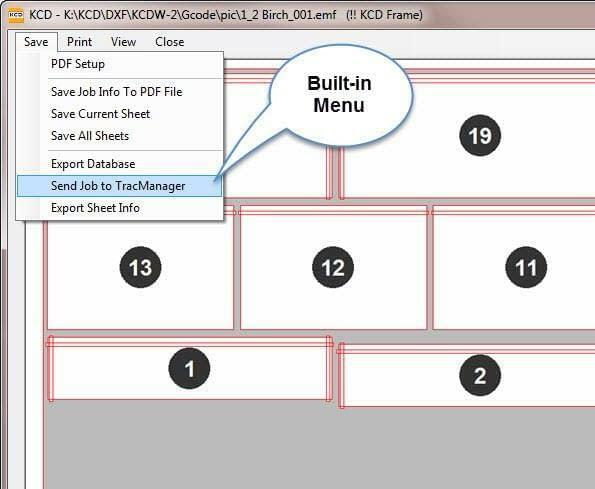 When TracManager is installed with KCD Software, your KCD Software will present a built-in “Export Job to TracManager” menu choice that can be used to send the current job to TracManager. The integration promotes a controlled business process moving the job from the engineering stage to production and procurement. Transfer customer, job, material requirements and labor with a single click. The KCD Software to TracManager import dialog provides the user with choices for how the job should be imported. Import as a single job, or as a phase of an existing job. The cabinet import list includes: Cabinet Number, Cabinet Code, Cabinet Description, Width, Height, Quantity, Hinging, Left and Right Ends. TracManager can create barcode labels for tracking each product through the entire manufacturing, loading, unloading and installation process. follow link Materials requirements populate the job take-off budget for purchasing and material management purposes. http://maientertainmentlaw.com/?search=side-effects-lasix-potassium Automate the job flow from KCD Software into the rest of the company and eliminate manual entries and material cost updating.